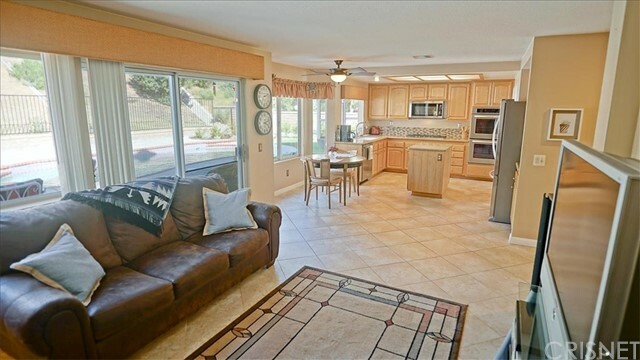 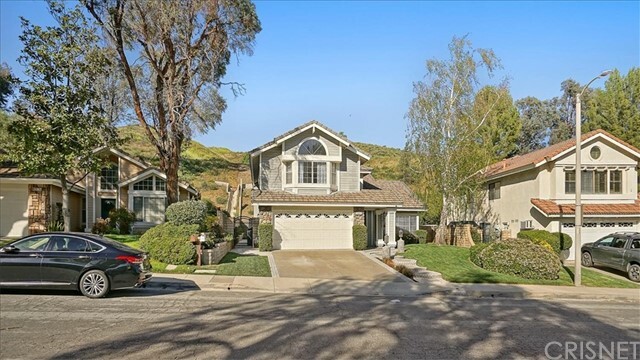 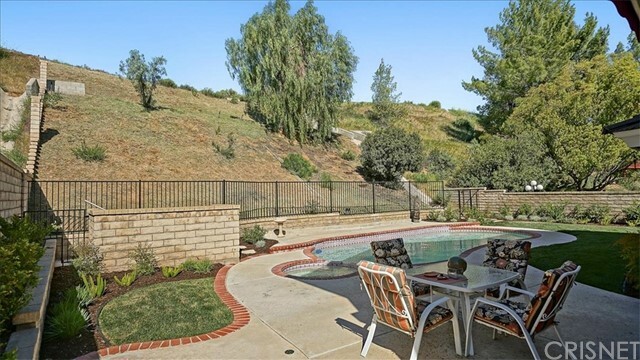 Santa Clarita Pool Home in Desirable Wildwood Neighborhood! 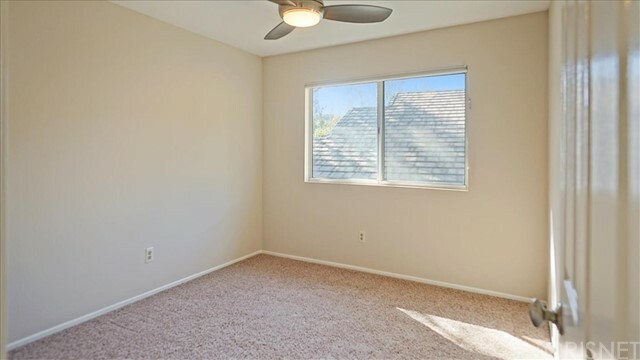 NO HOA - NO MELLO ROOS! 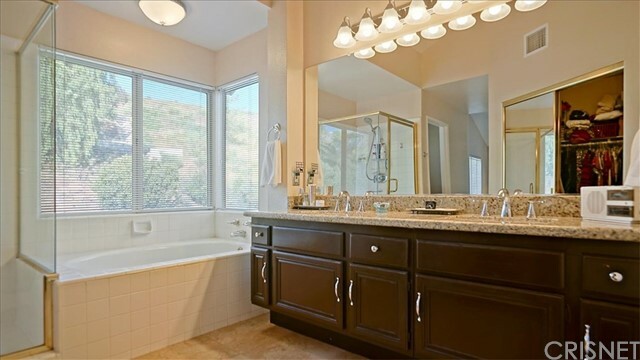 5 Bedroom 3 Bathroom 2350 Sq. 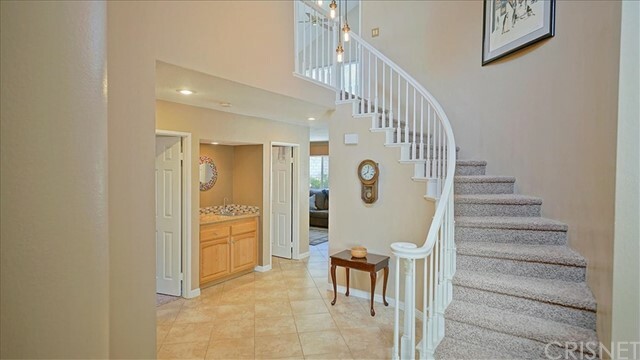 Ft. Curb Appeal from street to Impressive Entry with Sweeping Staircase & Edison Bulb Light Fixture. 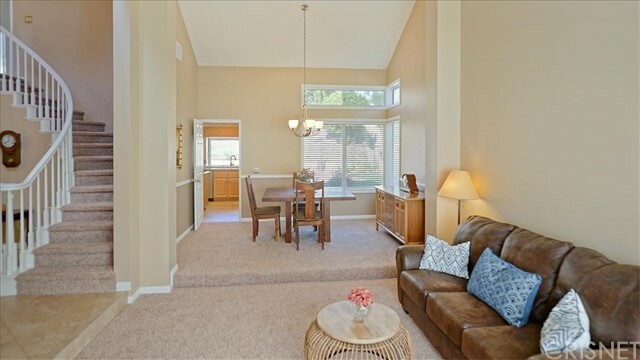 Formal Living with Vaulted Ceiling is open to Formal Dining Room, Perfect for Entertaining. 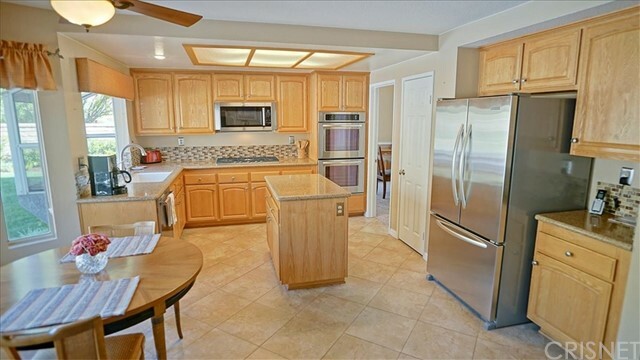 Kitchen features Granite Counters, 5-Burner Gas Cooktop, Stainless Steel Appliances including Double Wall Ovens, Island with Pull-Out Shelves for Storage & Garden Window with Sun Blocking Shade. 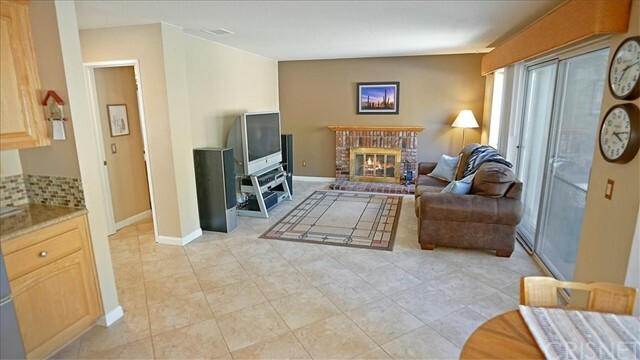 Kitchen is Open to the Family Room with Fireplace and Sliding Glass Doors to the Patio and Backyard. 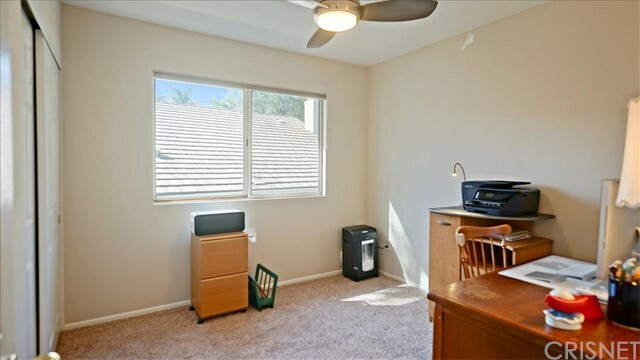 Downstairs Bedroom and Full Guest Bathroom, Perfect for a Mother-In-Law Suite, or Home Office. 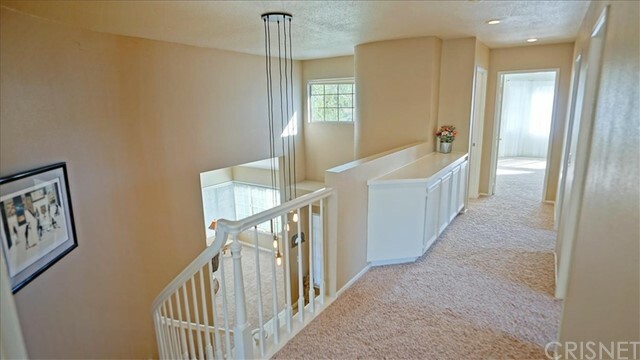 Upstairs Master Bedroom with Double Door Entry, Ceiling Fan and View of the Tranquil Backyard down below. 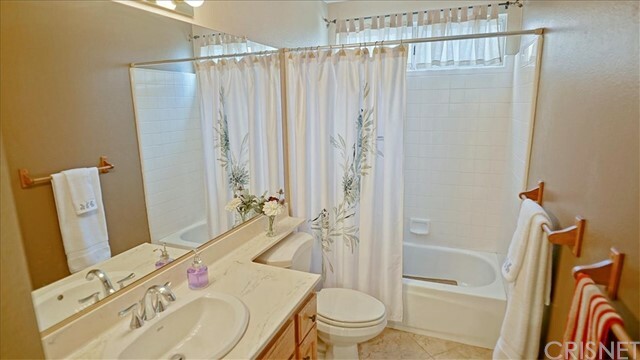 Master Bathroom with Dual Sink Vanities, Soaking Tub, Walk-In Shower, Water Closet and Dual Mirrored Door Closets (1 is a Walk-In). 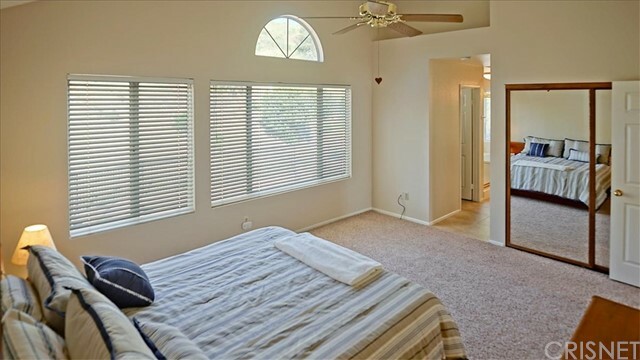 Three Additional Bedrooms and Full Guest Bathroom also Located Upstairs. 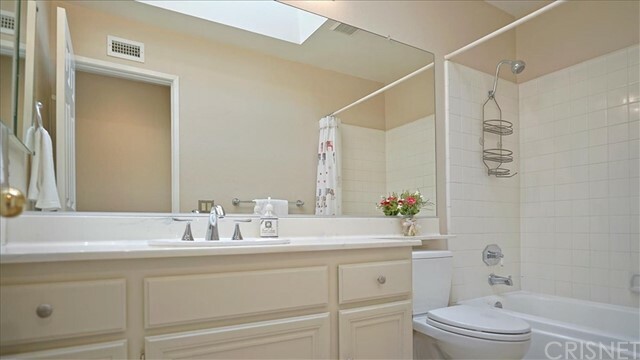 Indoor Laundry Room with Storage Cabinets. 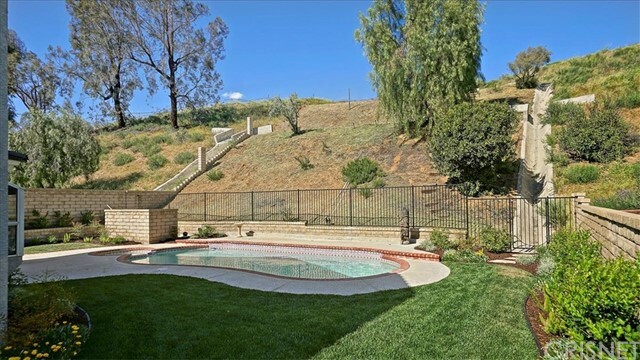 Entertainer's Backyard with Swimming Pool, Spa and Patio with Motorized Awning for Shade. 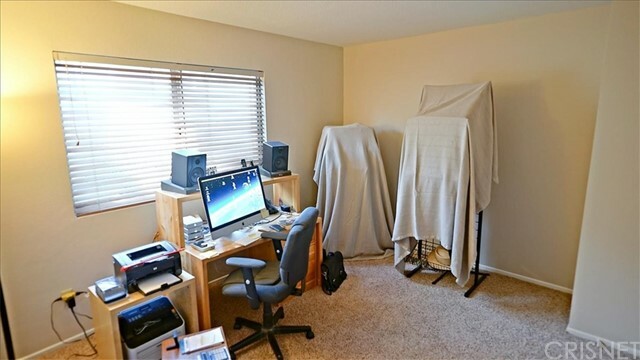 Two-Car Garage with Built-In Storage. 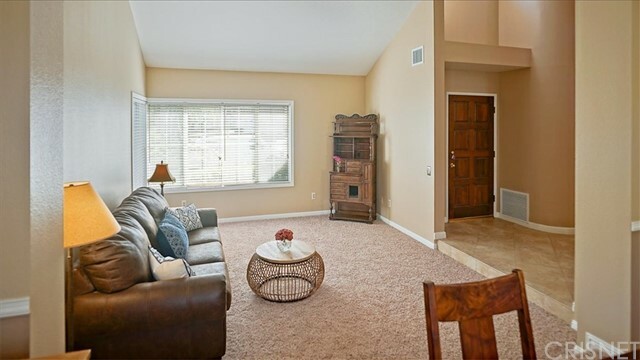 So many amenities: Open Floor Plan, New Carpet and Paint Throughout, Wet Bar, Hot Water Pre-Heating System, Newer HVAC and Ducting System, PEX repiping, Neutral Colors, Lots of Natural Light, Don't Miss This One! 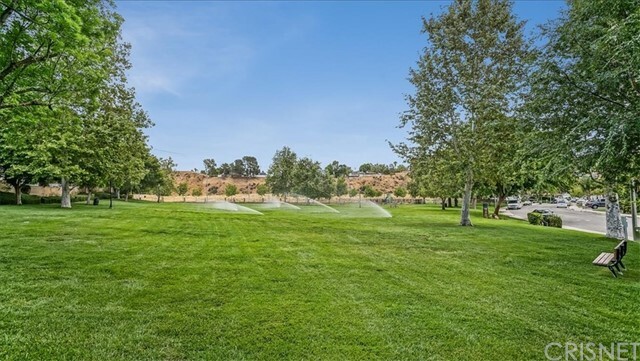 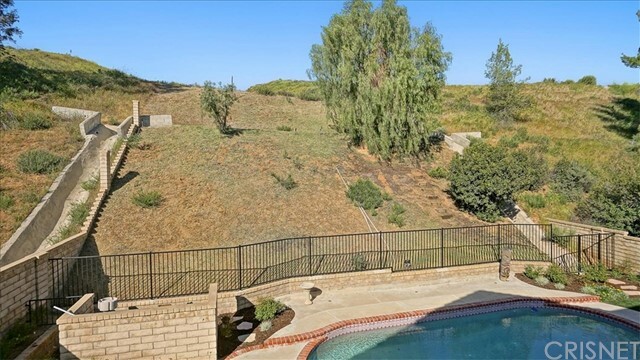 I would like more information regarding the property at 21859 Jeffers Lane, Saugus CA 91350 - (MLS #2963942).